Our bodies, our lives, our right to decide! 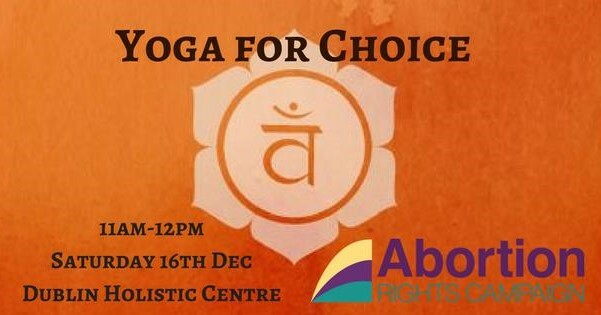 Come enjoy an hour of opening and strengthening your body, all in the knowledge that your donation is going directly towards repealing the 8th amendment. Suggested donation €10/€15 – pay whatever you can afford, no donation too small. All proceeds go directly to the Abortion Rights Campaign – a grassroots activist organisation working to achieve full access to abortion in Ireland for anyone who needs it. My body, my yoga, my choice, my voice, my revolution! Open level – all bodies welcome.